Base Pairs is a podcast about “the power of genetic information.” And there’s no better example of that power than how genome sequencing has changed our understanding of biology. In this episode, experts from three very different fields in the life sciences share stories from their own research that showcase this change. BS: Hey everyone. My name is Brian. BS: And this is Base Pairs, the podcast about the power of genetic information. In order for any category to be useful, it has to mean something—and that’s a problem that all kinds of experts in the life sciences have been arguing over and struggling with for a very long time. [pause] What we want to talk about in this episode is a couple of different ways in which our ability to understand the messages in genes is revolutionizing our ability to classify things in nature—whether different species of animals, our own human ancestors, or even cells in the human brain! AA: So Brian, take the category of “human” for example. What does it mean to be a human, like you or me?—in a scientific sense, not a waxing philosophical sense. BS: Ok, I’ll bite. It means that we’re part of the modern human species, Homo sapiens. AA: Well, you may recall from episode 3, “Non-Modern Family,” that category isn’t as bulletproof as a lot of people think it is. Remember this? AS: We don’t really know what a species is. BS: Oh yea! That’s Professor Adam Siepel, Chair of the Simons Center for Quantitative Biology. He’s spent a lot of time looking through the genomes of not only modern humans like us, but also ancient humans like Neanderthals. AA: And Neanderthals are considered to be a different species, Homo neanderthalensis. But what’s really different between Neanderthals and modern humans? What makes us different species? AS: Historically, species was used for groups of individuals that could no longer interbreed and have fertile offspring. But then the concept was extended when people began to dig up fossils of ancient individuals and they were called different species because they looked different from the modern humans that we know—And by implication that suggests that they couldn’t interbreed, [pause] but now we know that they could interbreed. BS: Then why are they still considered different species?!? AS: Well, that’s still hotly debated in the scientific community. Today, the argument is that Neanderthals and modern humans are different species because they did not interbreed—have kids together, in other words—very often. In general, modern humans mated with modern humans, and Neanderthals with Neanderthals. And scientists like Adam know this from studying the genomes of modern humans and Neanderthals. BS: Because breeding mixes the DNA of both parents together in the child. So, since modern humans and Neanderthals only interbred occasionally, these groups still have distinct genomes. AA: Yes, the differences in their genomes provides a concrete reason to classify modern humans and Neanderthals as different species. In fact, by using this approach, Adam’s team even found an entirely new subspecies of ancient human that once lived around the Denisova Cave in Siberia. AS: This Denisovan individual we’ve identified as a whole new subspecies on the basis of one pinky bone. I mean, that’s just unthinkable by the standards of anthropology in previous decades and centuries. So that to me is really fascinating—the idea that we can get at these ancient stories just by analyzing the DNA sequences. BS: Wow, that is powerful. They couldn’t tell that it was a new subspecies just by looking at this tiny bone fragment, but they could look deeper, into its DNA, to figure out its real identity. BS: That’s so VASTLY different than how classification used to be done. I remember as a kid, wanting to be a paleontologist—but not the kind who dug up bones. I wanted to sit in quiet museum archives somewhere piecing together the bones of some ancient dinosaur like an epic erector set—then giving it a name and species, and determining who it was related to just by squinting at skeletal structure and the fossil record alone. For a long time, that was how even MODERN species were classified [pause] BUT clearly, in this age of genomics, things have… evolved. E: I extracted samples and I was DUMBFOUNDED when I looked at the DNA sequences. B: That’s Evon Hekkala, a Fordham professor and research associate at the American Museum of Natural History. She first told her story for the museum’s Shelf Life YouTube series, and it describes I at least think is a super fascinating complication for this whole classification endeavor. EH: I was doing my dissertation research on crocodiles, and as I was collecting data I started to realize that there were a lot of places where you couldn’t get samples anymore because crocodiles had gone extinct at those sites. And so I thought “maybe I can use museum specimens to fill in some of these gaps…” I found that here was this expedition to the Congo from 1909—1915 by the American Museum of Natural history. And those explorers had collected crocodile specimens. AA: Ah. So Evon benefited from the passionate naturalists of the past. The ones who really helped the modern biologists decide what the term “species” was going to mean. BS: Yea, but when she took a look at these specimens on a genetic level, what she discovered is the kind of species that those historied naturalists never would have seen. AA: Cryptic species… I think I’ve heard of this before, and it’s a pretty crazy concept! It’s essentially what we call species that are very genetically different, but they look nearly exactly the same. EH: It turned out that one species there represents the Nile crocodile that we all know and love from the Nile. And the other represents a completely separate species of crocodile. In fact, they are so distinct that they’re not even each other’s closest relatives. EH: had not exchanged genes in millions of years. BS: Yea. According to our friends at the American Museum of Natural History, modern genetic sequencing is revealing cryptic species in virtually every animal group out there, showing that even after a couple centuries of species-seeking, there is still so much we don’t know about where to draw the lines between species. AA: But… our story doesn’t just stop with a pair of crocodiles. AP: The problem with the brain is, unlike other organs there are all this different cell types all mixed together in one organ. Essentially, it’s like multiple organs, just a big rat’s nest, everything’s put together. AA: That’s my friend Anirban Paul—a postdoctoral researcher here at CSHL—and he’s describing how the brain, in a certain way, is like Dr. Hekkala’s Congo riverside. It’s populated by lots of individuals—neurons in the case of the brain—and while we know that MANY of these cells look the same—just like those crocodiles—and others look different… what we don’t know is whether this actually means anything. AP: the way I tell this story is let’s say first time you walk into Manhattan, you see people of all race, color, age, everything. And then you are overwhelmed. But, then if you want to say how do I distinguish one from the other, you really can’t unless you select certain populations and look deeper. Like where they came from, what they do, and so on and so forth. AA: As things stand, most brain cells are classified by how they look and how we think they function. For instance, the lab of Professor Josh Huang at CSHL, likes to look at chandelier cells—these beautiful cells in the cortex of mammals like us, to which many other neurons connect. The way this brain cell branches makes it look like it should be hanging over an elegant dining room table. When Sir Francis Crick saw it soon after its discovery about 50 years ago, he proposed that it was a cell with “veto power” —this single, well-connected cell could inhibit the signals coming from hundreds of other cells in its vicinity. 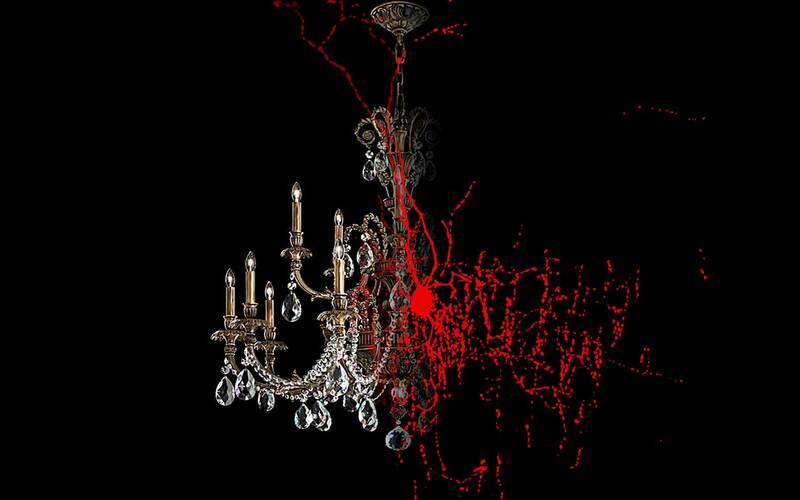 BS: So, chandelier cells are an example of one basic kind of brain cell—it is inhibitory. And inhibitory neurons are like circuit breakers within large networks composed of other neurons. The trouble is, inhibitory neurons are a pretty diverse group! Like those two similar-looking crocodiles living on opposite banks of a river in the Congo, all neurons with many branching connections that inhibit other neurons may seem the same—but they’re not. It’s well known that chandelier cells are not the same as, say, basket cells, which also have many branches and are also inhibitory. But how exactly they are different from one another and other varieties of inhibitory neurons is something that still befuddles neuroscientists! AA: I get it—so this is why Anirban and his colleagues want a much more rigorous way to classify these things. Neuroscientists have made some progress since the days of, “Oh! and this one looks like a lighting fixture!” but they still have a way to go. AP: My question was what is cell identity? How do we know that this cell is different from another cell? So, if you can imagine 10 clones of me, but all of them are wearing different hats, are they different people? Or do they just look different? AA: As you can tell, Anriban likes metaphors. I don’t know if that totally makes sense, but you can understand his goal. Much like with taxonomy, neuroscientists would benefit greatly if they could use the information packed into the genome to help classify brain cells. So that’s what Huang lab set out to do! BS: The tricky part about brain cells is, in an individual, every cell has the same genome. So how can genetic information help us tell them apart? AA: Right. What the Huang lab did was look at how that genetic information is expressed differently as a way of categorizing cell types. BS: Ok. Time for a refresher course. Genetic expression is all about when and why certain genes activate within a given cell’s genome. Need a specific protein? The genetic information that codes for it—a lot like a blueprint—is copied into a message for the cell to follow, in order to manufacture that protein. In some ways, gene expression can work almost like a record of any cell’s behavior and development. BUT, a TON of that behavior isn’t exactly noteworthy. Going back to Anirban’s city metaphor, if we’re trying to break that dizzying number of New Yorkers into manageable groups, “people who eat” probably won’t be distinguishing enough. AA: Amazingly, Anirban told me that he and Professor Josh Huang spent countless mornings sifting through these gene sets, looking for any groups of significance. In all, he and Huang looked at more than 600 groups. AP: You have a huge spreadsheet of that and from there our job was to first teach a machine learning algorithm to say, “Hey this is cell type A, this is cell type, B, C, D, and E. And these are the ingredients that made up cell type A, and those are the ingredients that made up cell type B. And now, tell me if I give you a subset of these ingredients, is it good enough to tell A and B apart?” The algorithm comes back and says, “Nope. This is no good. And yep, this is fantastic and so on.” The process repeats itself over and over again, until we get to a very high confidence list of genes. AA: Incredibly, all that work revealed that only about 8% of those 600-plus gene families were distinct enough to show differences between cell types. But of course, that’s not enough. BS: Right! Even if we use a bunch of expressing genes to distinguish different cells, that alone would be JUST as arbitrary as sticking neurons into categories based solely on how they look. AA: So what they still had to determine was meaning. They had to ask, “well, what do these important genes do—in those 8% of gene families that are expressing in such a distinct way from cell-to-cell. AP: Then we figured out that yes, these gene families are all related to the input function. These are all related to the signal transduction function, and then these are related to the output function of the cell. AA: Essentially, it all has to do with how the cells were developing their cell membrane, because it’s THERE that different brain cells determine how and who they’re talking to. AP: that’s where a lot of interesting things are happening. They are receiving signals, they’re sending out signals, they’re integrating signals and that’s where all the cell communication and connectivity molecules are expressed. So, to distinguish yourself, the cell needs to literally make changes on the proteins that are expressed in the cell membrane. They’re all so far, that we have looked into, point to the single quintessential function of cell to cell communication, synaptic communication. AA: and if you think about it, this makes sense! If I wanted to get a sense of someone’s distinct personality, I might want to observe who they talk to and how they talk to them! BS: Oh man! In fact, this is totally reminding me of targeted advertising, where experts are using our communications and behaviors on social media to group us into different consumer demographics… or different “species” of buyers, if you will. AA: [laughs] It seems like a really common-sense perspective, right? But it was a hidden distinguisher until Huang lab started looking at what the genes are doing. And Anirban tells me that now he and Huang have had this eureka moment, they’re just beginning to tease out the whos and hows behind all the different cells. BS: It’s all very exciting when you think about it that way. It’s like… thanks to genetics, SO MANY of these fields in life-sciences are standing at the edge of a whole new pool of discovery, and right now, they’re JUST beginning to test the waters. But the question is, will we learn how to swim efficiently? And… why should we bother? AA: That’s easy. We bother because at the end of the day, this is about so much more than just discovery. Like we’ve explained before in Base Pairs, basic scientific discovery—this mission to further our understanding of everything—is just a means to an end. How else do you fix a car, if not by understanding—and yes, even classifying—its parts?! THAT’S why this is so important. It may seem arbitrary now, but by identifying new species, we can learn which groups are most affected by problems like poaching, urban development, or climate change! By tracing human evolution, we can also trace the origins of genetic disorders and disease! And by comprehensively labeling the components of the brain, we can effectively share ideas and research in the fight against threats like schizophrenia or Alzheimer’s! BS: I joked at the top of the show that classification is a boring subject for boring poindextors or obsessive collectors… but in reality, like arguably all of scientific discovery, classification serves everyone. All that’s left is learning how to use it—and ever-improve it. In the Base Pairs episode “Non-Modern Family,” CSHL Professor Adam Siepel, a computational biologist, describes how his work with neanderthal and Denisovan DNA has pushed back the timeline for humanity’s migration out of Africa. What’s so incredible about having this data to work with, he explains, is where it’s coming from—in one case, a sliver of a pinky bone. Earlier this year, Siepel’s excitement was peaked again, when experts managed to isolate traces of ancient human DNA in cave soil alone! “It’s a bit like discovering that you can extract gold dust from the air,” Siepel told the New York Times. As CSHL professor Z. Josh Huang and postdoctoral researcher Anirban Paul worked towards a better way to classify brain cells, a picture of what reliably determines the identity of a neuron began to emerge—and mostly on white boards! Paul and Huang would take photos of their whiteboard sketches with cellphones and send them to each other even when they were apart. You can read the whole story here. Actual photos of the whiteboard sketches that Paul and Huang took with their phones and sent back and forth as they pieced together this discovery, plus the diagram of the interface between brain cells that ultimately was published in their paper.